As the weather is about to transition from the chilly winter days to the refreshing feel of summer, there is yet another festival to celebrate – Navroz, the Parsi New Year. It is celebrated on the first day of Spring or the Vernal Equinox, when the length of the day is equal to the length of the night. This day is celebrated as the festival of hope, life and color. Therefore it is appropriate to dress up in full zest and welcome the day in the most beautiful Parsi sarees. Like any community, the Parsis too have their traditional attire that is worn during their festivals and special occasions. One of them is the gara saree – the oldest known traditional saree of the Parsis. They are worn by Zoroastrian, Parsi and Irani women in India. 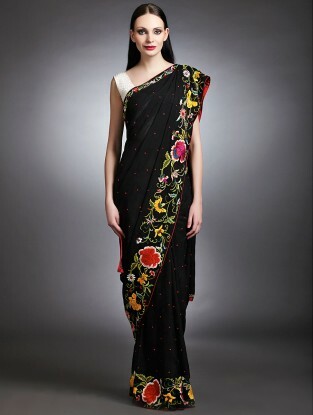 A gara saree is known for its fine embroidery and elegance that is done on rich thick silk, sometimes on chamois silk. The exquisite and intricate hand embroidery work is the most important part of a gara saree. The work is so fine that it is difficult to figure out the right side. 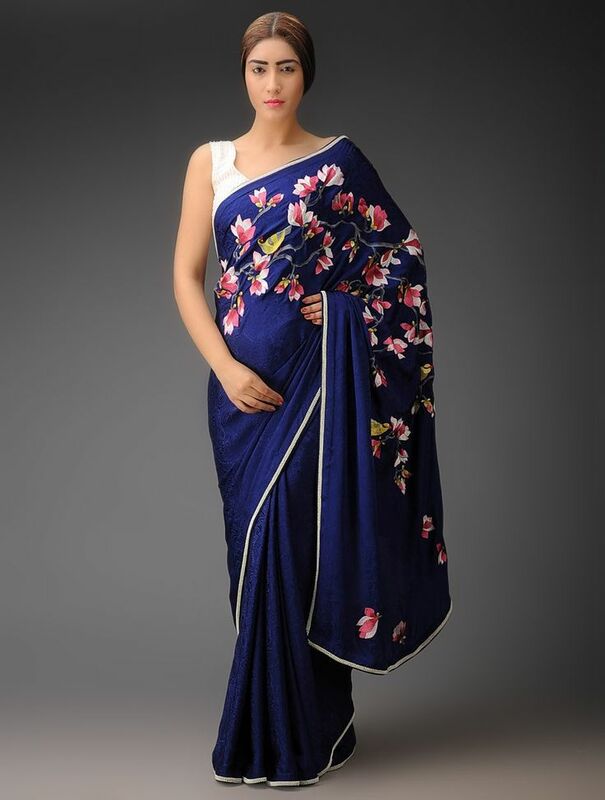 A gara saree can also include a woven design along with the embroidered one. The embroidery done here is also known as Parsi embroidery. This embroidery came about as a unique fusion of fashion and culture along the Silk Roads. Many a times, these sarees are also part of the family heirloom. It is also an essential part of the bridal trousseau. The history of gara sarees is shrouded in mystery. It is believed that when the Parsi merchants began trading from China in mid-1800s, they also brought along silk brocades and embroidery from the Chinese craftsmen. This made way on to the sarees and gave birth to the gara sarees. Over the years, the Chinese inspired style of embroidery has gone a major transformation. Though the motifs haven’t changed much from those days, there is inclusion of the spidery flowers, pink and yellow dotted onions and potatoes, and the chakla-chakli gara with juxtaposed birds. 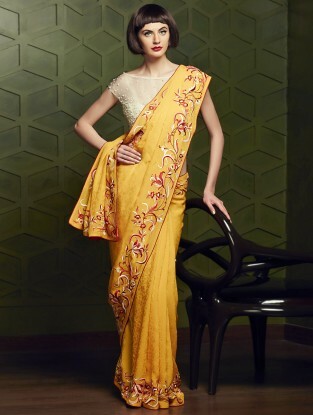 Birds have been a pre-dominant feature of gara sarees since it came into being. Roosters frequently appear in the designs as they are considered the symbol of light and they help to ward off evil. Other birds that can be found on a gara saree are cranes, sparrows and swallows. Another favourite Parsi saree is the tanchoi. 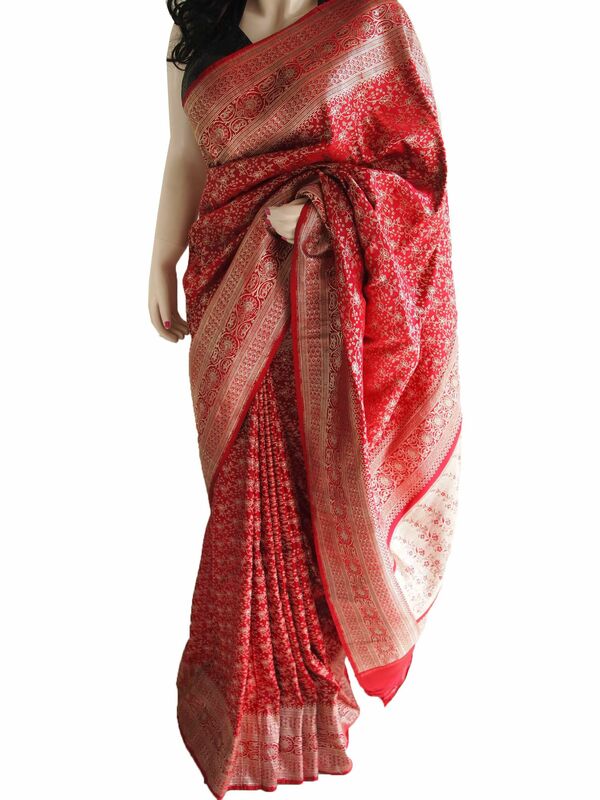 The difference between a gara and a tanchoi saree is that the border and any design on the body of the saree are woven into it rather than embroidered. Fabric variations in tanchoi include self-patterned or figured silk. 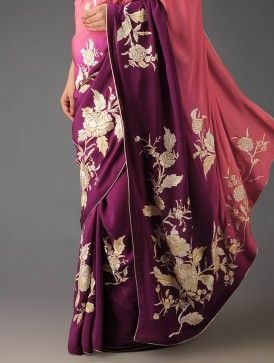 The figured silk fabric has a relief pattern that is repeated throughout the body of the fabric. Figured silk has a heavier body than plain silk. The weaving technique for multi-colored designs in the body and border is so elaborate that it looks like embroidery. A parsi saree is generally 5.5 metres long when open. It is a one size that fits all. The wearing style can be likened to either the Bengali or Gujarati style, but still there is a difference. 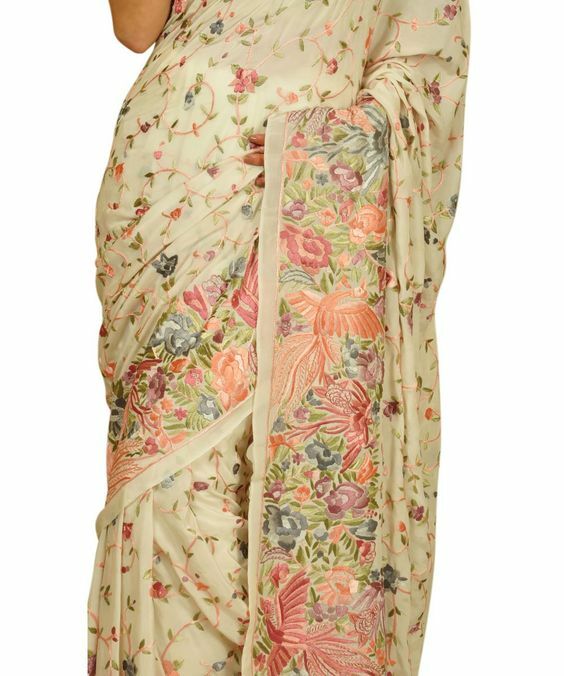 According to the Parsi-Irani culture, the pallu or the pallav is brought from behind over the right shoulder, wrapped over the head, leaving the left ear exposed. Beautiful and exquisite, available in all the royal colors one can think of, Parsi sarees are a delight for the true connoisseurs of art in fabric. We bring to you a varied and most elegant collection of Parsee sarees to choose from. Dress up and welcome the new beginning of all things bright and beautiful.